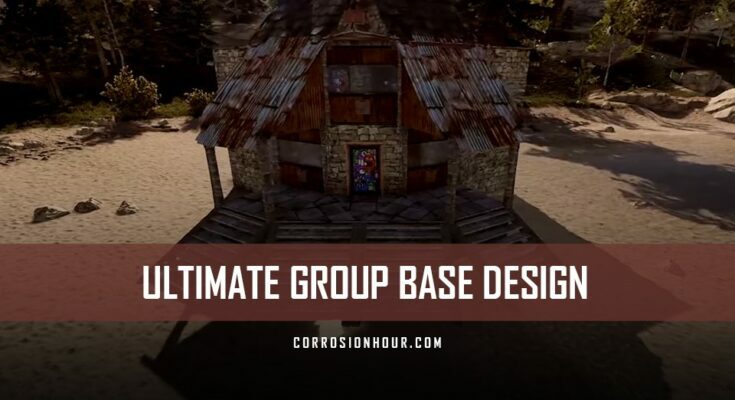 Back with another RUST base design video, our partner xRaW has released his version of the ultimate group base design. The first thing you’ll notice about this group base design is the amount of visibility available to the surrounding entry point. Just above the base’s front porch there are two separate floor ports for added visibility and practical base defense. Two metal shop fronts allow players to view the immediate area. The shop fronts allow for secured trades to occur. Just inside the base you’ll find a handful of unlootable loot rooms, which offer well defended and ample storage space. A similar technique protects the tool cupboard, while it’s placement lets players continue to access it. The base is intended for multiple build stages, as its interior peels away much like an onion. This helps ensure it stays functional during the in-between stages.